This post was updated at 3:15 p.m.
Governor-elect Phil Scott announced Tuesday that he has chosen a former Douglas administration employee to run the Agency of Natural Resources and a former federal prosecutor who served under Republican president George W. Bush to lead his Public Safety Department. Julie Moore, who worked six years on Lake Champlain cleanup efforts under former Republican governor Jim Douglas, will serve as Scott’s ANR secretary at a time when the lake is very much at the top of the agency’s agenda. When Scott takes office in January, the Republican governor is expected to wrangle with the Democratic-controlled legislature over how to pay for phosphorous reduction efforts in the lake. The state and federal governments this year finalized an agreement on goals the state must meet to reduce phosphorous during the next 20 years. Scott has said he will not support raising new revenues to meet the goals, but lawmakers are expected to push him on the issue. Moore’s appointment won immediate praise from environmentalists. Her work with ANR and more recently with the Montpelier consulting firm Stone Environmental was strong, said Chris Kilian, director of the Conservation Law Foundation in Vermont, an organization that sued the state over lake cleanup. Brian Shupe, executive director of the Vermont Natural Resources Council, agreed. “We hope in this new role she will be better positioned to use her particular skills and experience to be more effective than was possible under governor Douglas,” he said. Moore, 42, of Middlesex, has a bachelor’s degree in civil engineering and a master’s in environmental science and policy. Moore will succeed Deb Markowitz, who served as ANR secretary for all six years of Democratic Gov. Peter Shumlin’s administration. Thomas Anderson, 59, a former U.S. attorney for Vermont, will serve as Scott’s public safety commissioner. Bush appointed Anderson to be Vermont’s federal prosecutor in 2006 and he served until February 2009. He is now deputy general counsel for the executive office for U.S. attorneys and plans to move back to Vermont from Virginia. He formerly worked as a deputy state’s attorney in Orleans County. Anderson will succeed Keith Flynn, who served six years under Shumlin. Scott also announced he will keep Andy Pallito on staff as finance commissioner. Pallito, 51, of Burlington, is a survivor of multiple administrations. He started working in the Agency of Human Services in 1992, became corrections commissioner under Douglas in 2008 and retained that position under Shumlin. 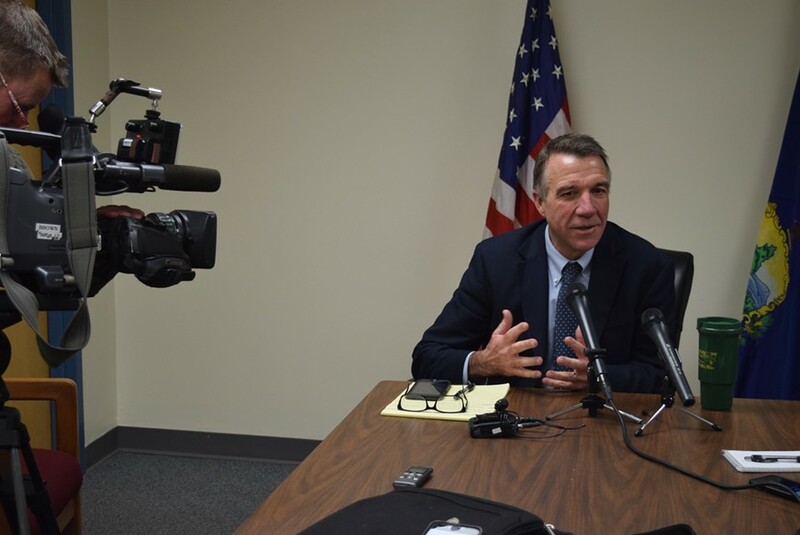 In 2015, Shumlin made him finance commissioner, overseeing development of the state budget. Diane Snelling, 64, of Hinesburg, a former Republican state senator, will keep her job as chair of the Natural Resources Board. 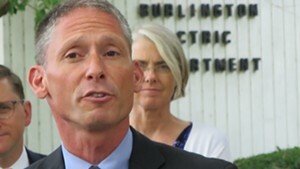 Shumlin appointed Snelling to the position in March.